President Donald Trump attacked John McCain yet again on Thursday, calling him 'horrible' after the late senator's two daughters begged earlier that day for the president to leave their dad and family alone. 'I'm not a fan. He was horrible what he did with repeal and replace. What he did to the Republican Party and to the nation, and to sick people that could have had great health care was not good. So I'm not a fan of John McCain and that's fine,' Trump told Fox Business Network. The president has repeatedly complained about McCain's 2017 vote on the GOP's so-called 'skinny repeal' of Obamacare, which would have repealed the Affordable Care Act's individual mandate and rolled back a tax on medical devices. 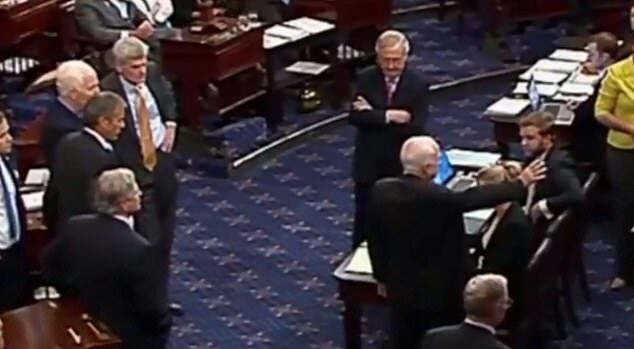 McCain gave a dramatic thumbs down on the Senate floor during the vote, which killed Republican efforts to take down former President Barack Obama's signature healthcare law. Trump has railed repeatedly against his late nemesis for the past week, starting off with a flurry of critical tweets over the weekend that segued into harsher language in the past few days. 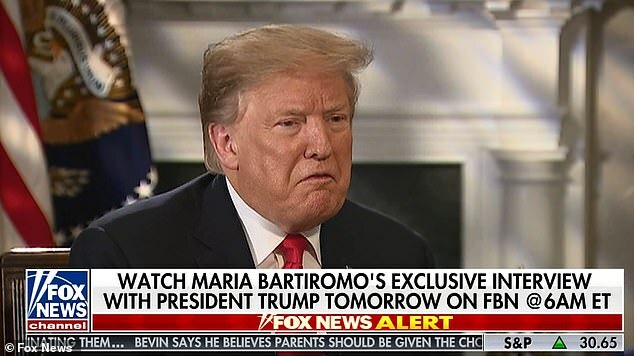 But he denied to Fox Business Network he's spending a lot of time talking about the Vietnam War hero even as he went back to attacking McCain over the infamous Golden Showers dossier, a document with unverified allegations the Russians have blackmail material on the president. It was notable that Bridget McCain broke her long public silence and weighed in on the matter. The youngest McCain child has stayed out of the national spotlight and rarely appeared with her father in his public life. During the 2000 Republican presidential primary, rumors were spread in South Carolina - before its decisive primary election - that Bridget was the illegitimate child of John McCain. The McCains had actually adopted her as a baby from an orphanage in Bangladesh, when Cindy McCain was visiting the impoverished nation on a humanitarian visit and spotted Bridget at Mother Theresa's Dhaka orphanage. She took her and another girl to the U.S. for medical treatment in 1991 and suggested to her husband that they adopt Bridget. The process was completed by 1993. During the 2000 primary, which George W. Bush eventually won, voters in South Carolina described receiving polling phone calls that asked them: 'Would you be more likely or less likely to vote for John McCain for president if you knew he had fathered an illegitimate black child?' in what was a reference to Bridget. 'It's not a good portion of my time, it's a very small portion. But if you realize about three days ago it came out that his main person gave to the FBI the fake news dossier. It was a fake, it was a fraud, it was paid for by Hillary Clinton and the Democrats. They gave it to John McCain who gave it to the FBI for very evil purposes, that's not good,' he said. 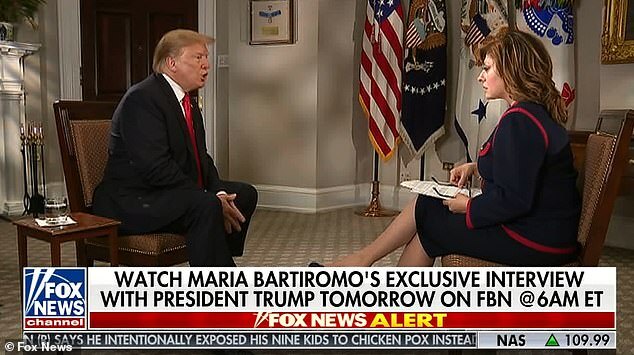 Fox Business Network's anchor Maria Bartiromo pressed him on attacking someone who was dead and could not respond. 'But Mr. President, he's dead. He can't punch back. I know you punch back, but he's dead,' she said. In fact Trump had spoken about McCain in Ohio on Thursday at a speech which featured no questions from reporters or members of the audience. The interview was filmed shortly after McCain's daughters both pleaded with the president to leave their father and their family alone. 'My little sister Bridget for the first time ever has decided that she wants to speak out,' Meghan McCain announced before sharing her younger sibling's reaction. 'Mr. 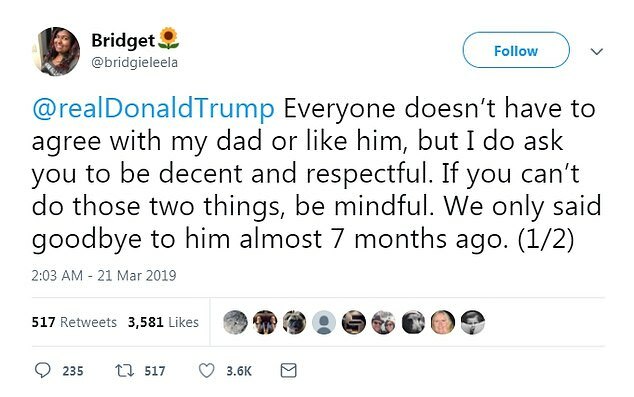 Trump, everyone doesn't have to agree with my dad or like him, but I do ask that you be decent and respectful. If you can't do those two things, be mindful. We only said good-bye to him almost seven months ago. 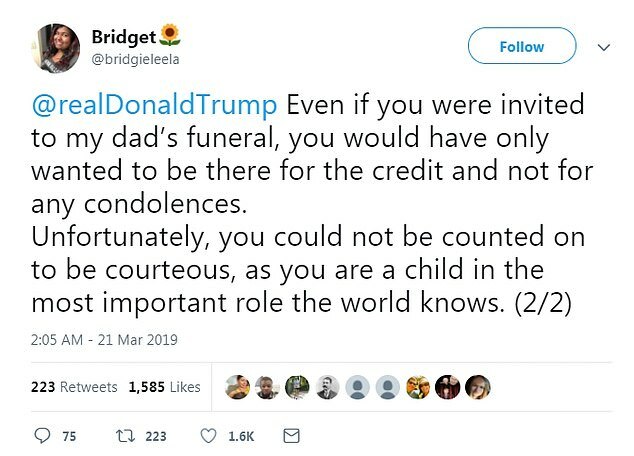 Even if you were invited to my dad's funeral, you would have only wanted to be there for credit and not for the condolences. Unfortunately, you could not be counted on to be courteous as you are a child in the most important role the world knows,' McCain read. 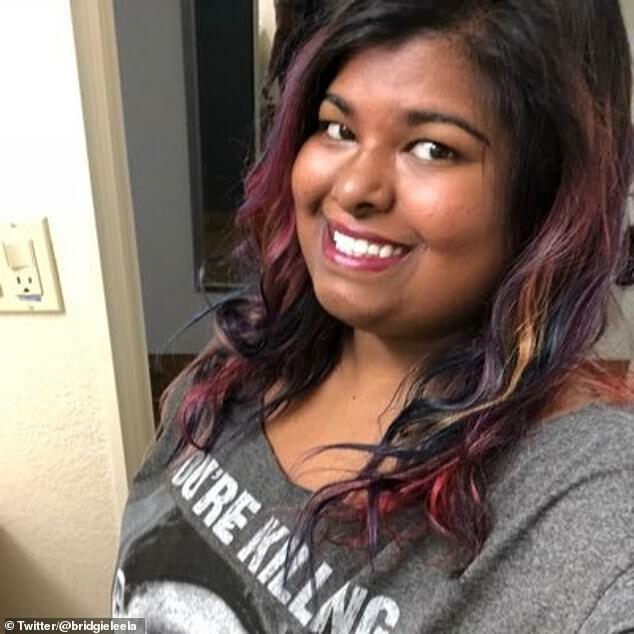 Her sister was adopted by the McCains from Bangladesh and until now has made rare appearances in public life. 'I endorsed him at his request and I gave him the kind of funeral that he wanted, which as president I had to approve. I don't care about this, I didn't get a thank-you. That's okay. We sent him on the way. But I wasn't a fan of John McCain,' Trump said. He claimed he 'got asked about' the late war hero but the comment came during a free-wheeling speech which was uninterrupted by questions from anyone. His claim that there were no thanks was also challenged by McCain supporters Thursday. They highlighted how in August, shortly after McCain's death from brain cancer, his former campaign manager Rick Davis offered a message of thanks from the McCain family to the Trump administration for their help with the funeral. 'The combined efforts of the Trump administration, the White House, Secretary Mattis and the Department of Defense, especially and the Military District of Washington, are very experienced in these issues related to the logistics of a funeral of this magnitude. And we really thank them for coming together very quickly and pulling together all the federal resources that we have,' he said at the time. 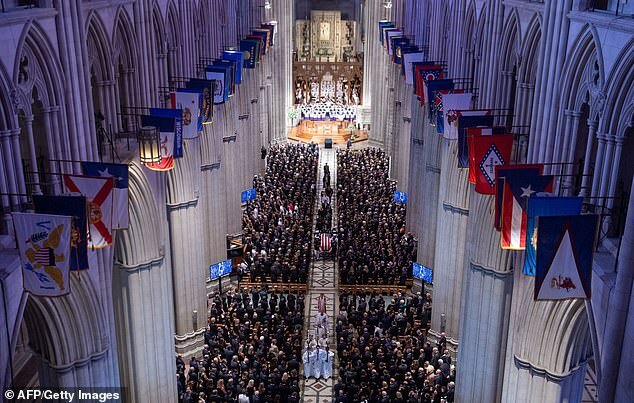 And a spokesperson for the Washington National Cathedral said the president's permission was not needed for McCain's memorial service to be held there. The president was criticized after McCain's death for not keeping the flag flying at the White House at half-staff. It was eventually lowered and stayed that way until McCain was buried. He was not invited to the funeral at the late senator's request. Former Presidents Barack Obama and George W. Bush gave the eulogies. A slew of political VIPs - Bill and Hillary Clinton, Michael Bloomberg, Joe Biden, Mitt Romney and others - were in attendance. It was notable that Bridget McCain broke her long public silence and weighed in on the matter. The youngest McCain child has stayed out of the national spotlight and rarely appeared with her father in his public life. 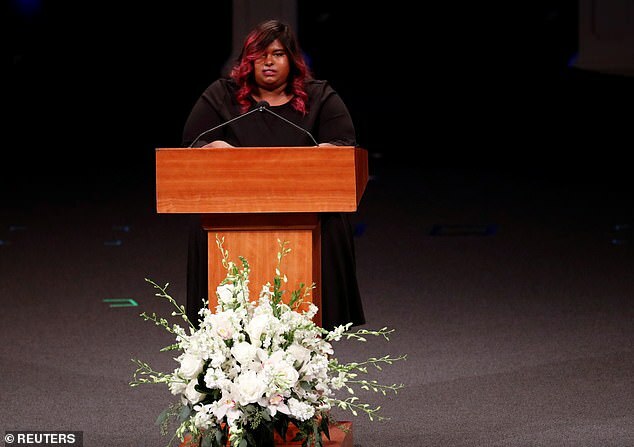 She did read a bible verse at her father's memorial service at North Phoenix Baptist Church this past August. But she has otherwise stayed out of the public arena. 'Anyone who knows anything about political history could probably surmise why she's chosen to lead a very private life but she felt inclined to say and tweet this,' Meghan McCain said. 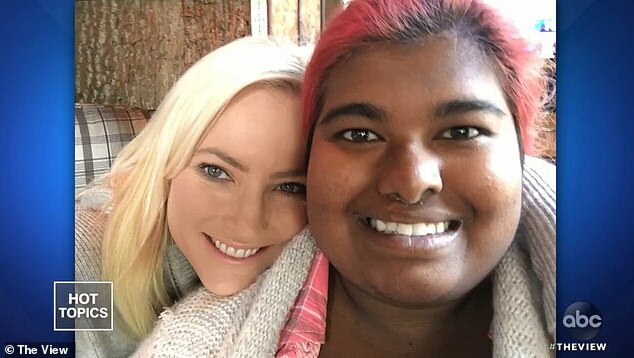 The McCains had actually adopted her as a baby from an orphanage in Bangladesh, when Cindy McCain was visiting the impoverished nation on a humanitarian visit and spotted Bridget. It's been Meghan McCain who has led the defense of her father from Trump's attacks. Her two brothers, Jack and Jimmy, serve in the military and McCain's children from his previous marriage have been quiet thus far. 'I don't like coming here every day and having to do this. 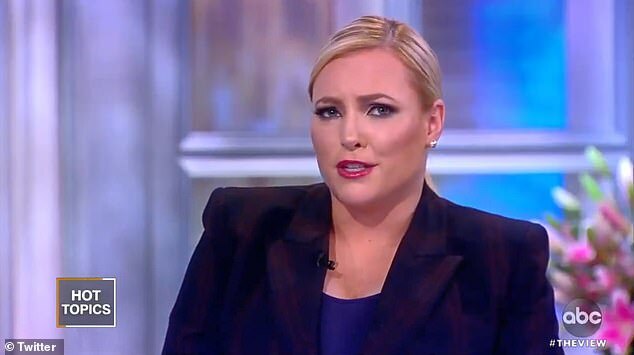 It's extremely emotionally exhausting,' Meghan McCain admitted on 'The View' Thursday. 'I want to thank the American public for the decency and compassion they have given for us,' she added. President Trump has spent the past week attacking the late senator, with whom he had a bitter relationship when McCain was alive. The president suggested on Wednesday that the late senator should have come to him after he was first handed a copy of the infamous Golden Showers dossier. 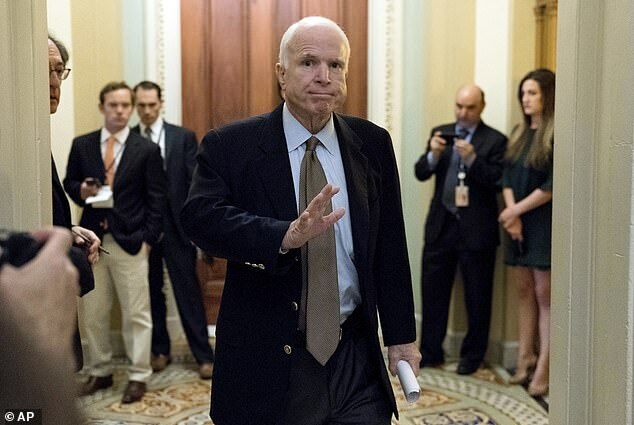 'John McCain received the fake and phony dossier. Did you hear about the dossier? It was paid for by Crooked Hillary Clinton, right?' 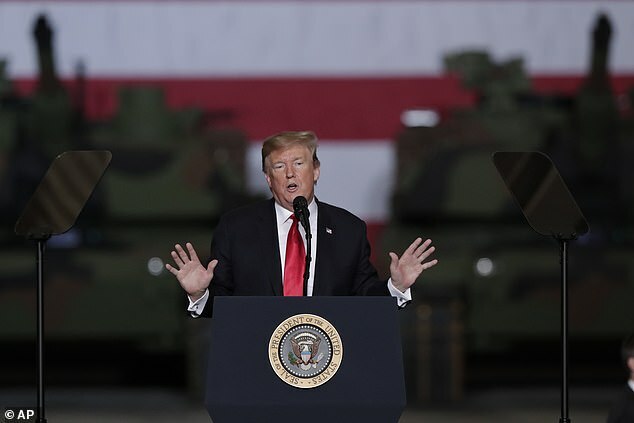 Trump said at the event in Ohio, drawing boos at the mention of his Democratic rival, who had a law firm fund opposition research after a conservative group first funded the research that became the dossier. 'And John McCain got it. He got it. And what did he do? He didn't call me. He turned it over to the FBI hoping to put me in jeopardy. And that's not the nicest thing to do,' Trump said. McCain associate and former State Department official David Kramer testified in a court case that McCain gave the first pages of the dossier to former FBI Director James Comey on December 9, 2018. The president's latest comments came as the McCain controversy boiled over after Trump's weekend attacks on the longtime senator who was held captive for 5 1/2 years in a Hanoi POW camp during the war. In recent days the controversy has brought in McCain family members, the Senate leaders from both parties, and other lawmakers who knew McCain. 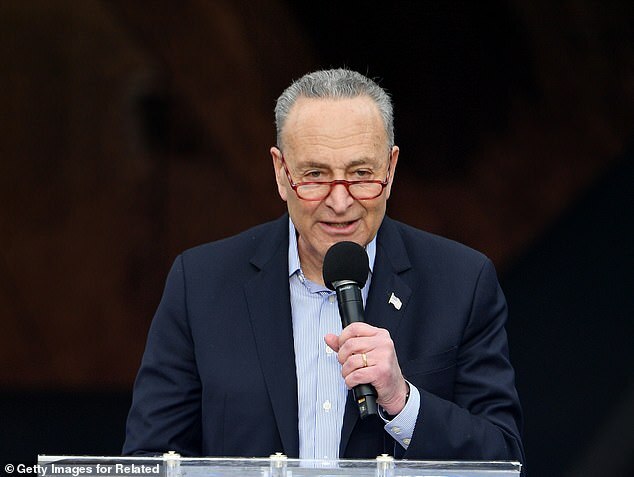 Senate Minority Leader Charles Schumer said he will reintroduce legislation to name a Senate office building after McCain – following Trump's comments that he is 'not a fan' of the Vietnam war hero. Schumer first raised the issue after McCain's death in August. He brought it up again after Trump blasted McCain on Twitter over the weekend, then doubled down when asked about McCain in the Oval Office Tuesday. 'I was never a fan of John McCain, and I never will be,' Trump told reporters Tuesday. Trump's continued public animosity has pushed several GOP senators to weigh in with their own views. 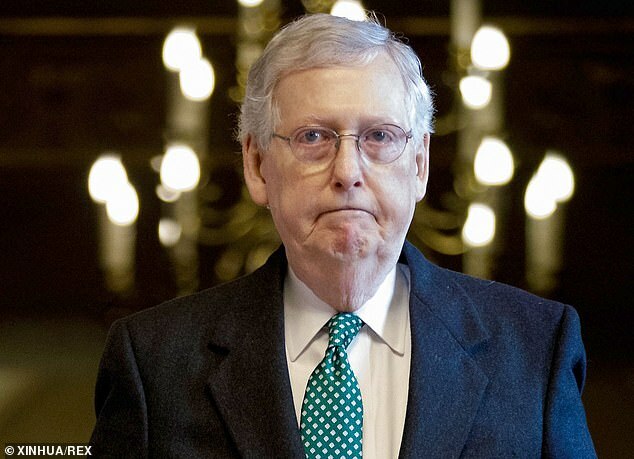 Senate Majority Leader Mitch McConnell came out with a tweet calling his 'good friend' and former colleague a hero – but did not directly call out Trump for his comments. 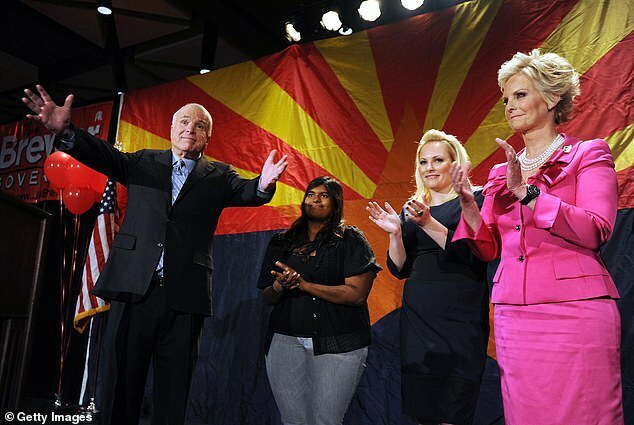 'Today and every day I miss my good friend John McCain. It was a blessing to serve alongside a rare patriot and genuine American hero in the Senate. His memory continues to remind me every day that our nation is sustained by the sacrifices of heroes,' said McConnell. Sen. Lindsey Graham of South Carolina, who was McCain's best friend in the Senate and something of a protege, has been put on the spot by the situation. A former fierce Trump critic, Graham now backs Trump on a series of issues and has provided critical cover on the subject of the Russia probe. 'A lot of people are coming to John's defense now that called him crazy and a war-monger, so it's kind of interesting to see the politics of how this dispute's being used to bash Trump by people who were against both Trump and McCain,' said Graham in his home state, NBC reported. Meghan McCain, meanwhile, delivered another emotional tribute to her father on ABC's 'the View' on Wednesday, punching back at Trump. Then she tried to turn the tables by bringing up cyber bullying – a top issue of first lady Melania Trump. She continued: 'Feel people out there who are being bullied who don't have support ... There are kids committing suicide bc of cyber bullying on line. There are people going through rough time. ... We have 20 veterans a day committing suicide. Focus on these issues,' she said. Trump attacked the late senator twice this weekend on Twitter, focusing on McCain's ties to the infamous Steele dossier. McCain was actually fifth from the bottom of his class at the Naval Academy, and regularly joked about his own academic performance. john mcCain was a P.O.S. scum as a human in general and a traitor the U.S. in specific. that being said, the only good thing i can say about trump is that at least he is not hillary.